Category: Casual. Tags: Dimethylsulfoxide, DMSO. DMSO is for use as a solvent only. The choise of the process used in the various applications are the sole responsibility of the user. No claim is made as to the suitability for any particular purpose. DMSO cristalizes at temperatures below 18,2 C. This does not harm the product. Thow in a warm place. Keep away from light and store in a ventilated cool dry area. KEEP OUT OF REACH OF CHILDREN. AVOID CONTACT IF PREGNANT OR NURSING. Keep container tightly closed when not in use. If contact is made with eyes or skin, wash immediately with water. 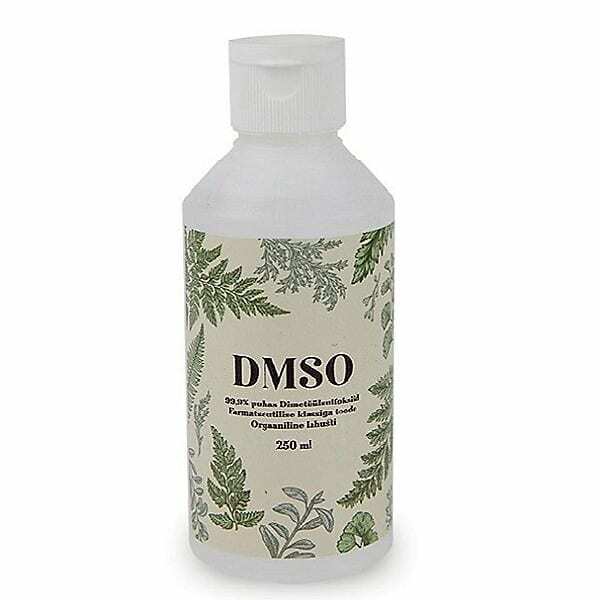 DMSO is highly polar, aprotic organic solvent that can rapidly penetrate and be absorbed by the skin and may carry other dissolved compounds with it. Manufactured in UK, DMSO99, Cudhill House Gloucestershire- GL48DF.